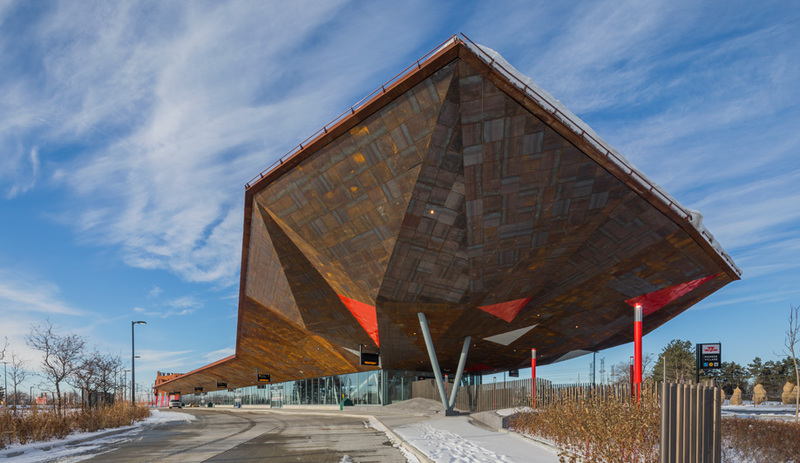 The bus terminal at Pioneer Village Station features a soaring cantilevered canopy sporting weathering steel soffit panels. When the Jubilee subway extension opened in London in 1999, Tube riders were smitten. “You had curious tourists buying tickets and getting off at every station,” recalls Will Alsop, who designed the cathedral-like North Greenwich stop. A similar phenomenon occurred in December, when the Toronto-York Spadina Subway Extension – to which Alsop’s London-based studio, aLL Design, contributed two station concepts – opened with much fanfare. The six-station, 8.6-kilometre stretch of rail, built at a cost of more than $3 billion, links the city’s northwest with the neighbouring suburb of Vaughan. 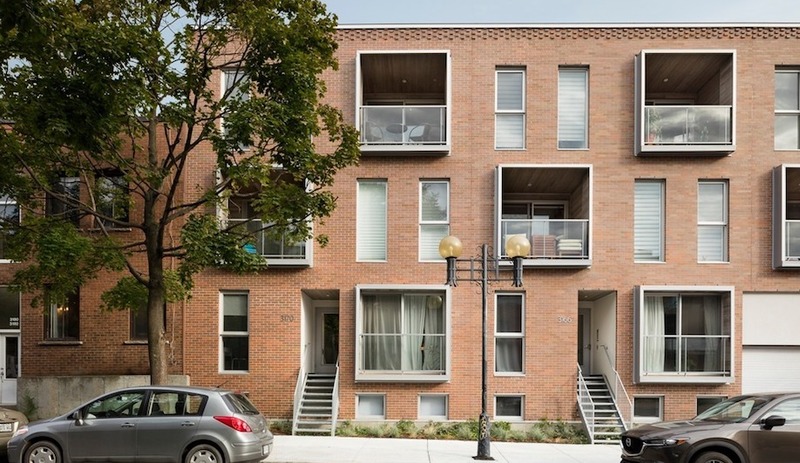 “It’s nice that people are finding the Spadina line similarly fascinating,” says the architect. It stands to reason that they would. The Spadina extension is aesthetically ambitious, making it an outlier among public works in Toronto – and subway projects generally. 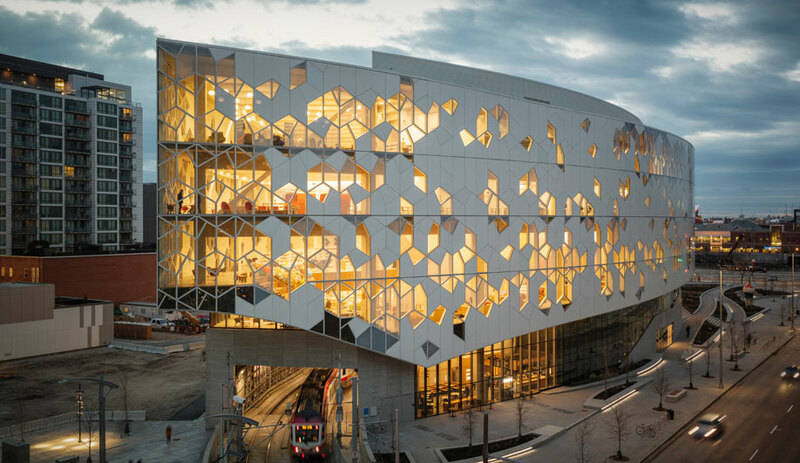 In addition to Alsop, who collaborated with Canada’s IBI Group, participating architects included Foster + Partners (designers of the boomerang-shaped York University Station) and Grimshaw Architects (which created, working with Arup Canada, the line’s terminus in Vaughan). The Alsop stations, however, are especially eye-catching. Finch West Station, a happy assemblage of brightly coloured glass panels, evokes his masterful Sharp Centre for Design at OCAD University in the city’s downtown, while Pioneer Village Station – restrained in tone but radical in form – is even more distinctive. Corten fins protrude from one of the station’s two entrance buildings. 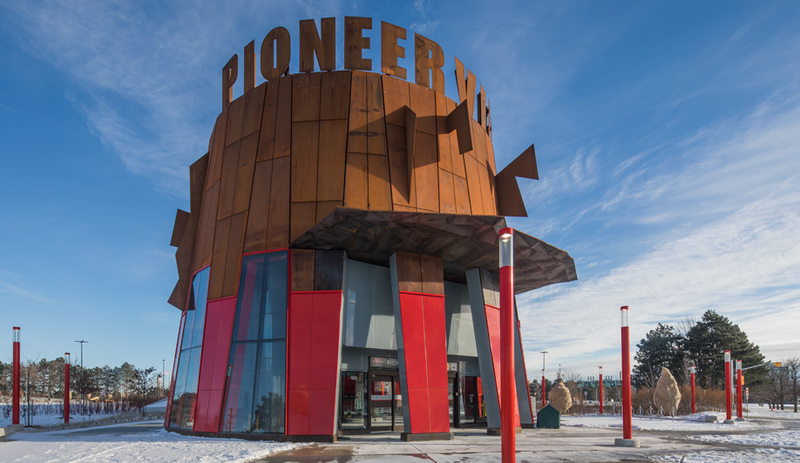 Riders enter Pioneer Village Station, named for a nearby open-air heritage museum, through one of two tapered structures, each clad in weathered steel and red porcelain enamel. 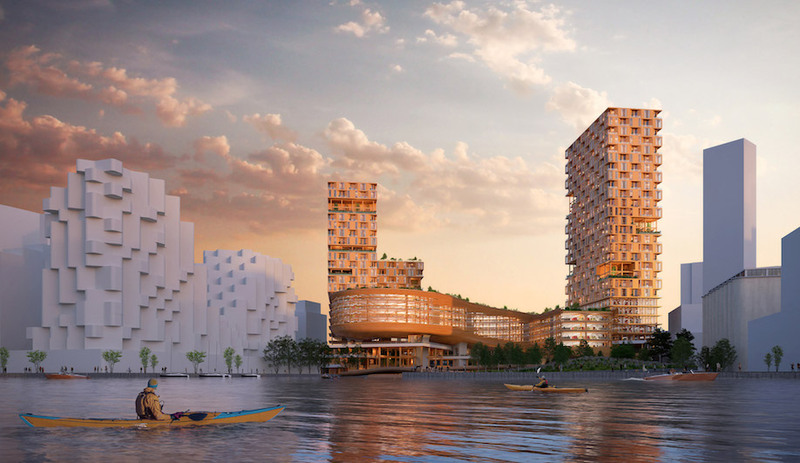 The structures are outfitted with pronounced fins, which cast theatrical shadows. 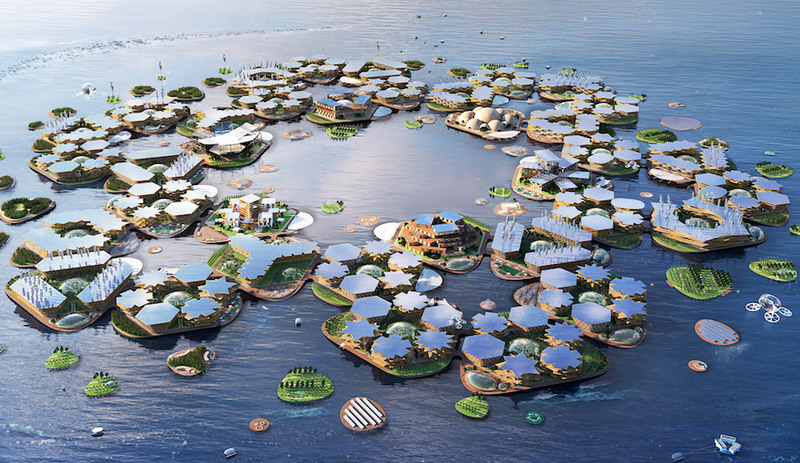 “They’re not exactly subtle,” Alsop says. Nor is the nearby bus terminal, distinguished by an approximately 600-square-metre cantilevered Corten canopy that provides shelter from the elements – if you’re brave enough to stand underneath it. Each of the two entrance buildings contain giant chandeliers evoking the depths of the earth. The drama continues indoors as you descend roughly 17 metres to the subway platform, a cavern with terrazzo floors and hefty concrete pillars. The architectural vocabulary (exposed concrete, rusted steel) is decidedly earthy. 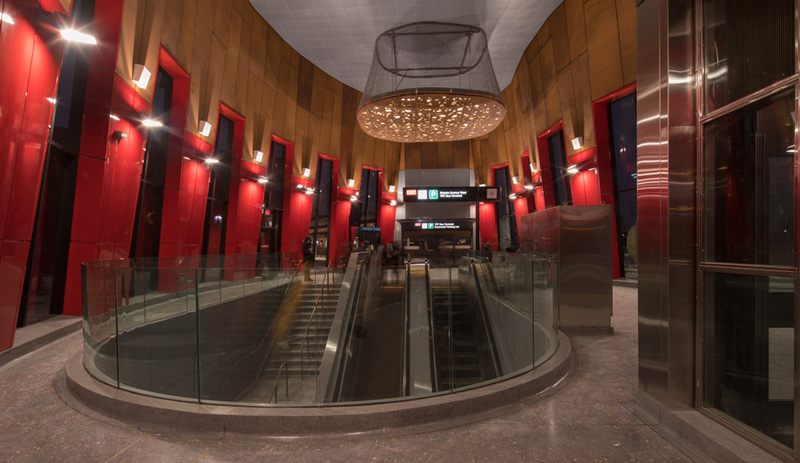 Highlights include the “chandeliers” at the stations’ entrances: 6.1-metre-wide corten fixtures that emit light through small cut-outs, each shaped like a rock or slithery primordial creature. On that score, he has succeeded admirably.